Zara, H&M, and Topshop are bowing out of using mohair in the clothes that they are selling. This comes after People for the Ethical Treatment of Animals (PETA) released disturbing footage taken in a South African goat farm where workers were shown dragging the animals by the horns and legs before they are shorn. Mohair, that comes from angora goats, is prized for its lustrous sheen and softness which makes it the preferred material for sweaters and scarves. But this is not to be confused with angora, the fabric sourced from angora rabbits. 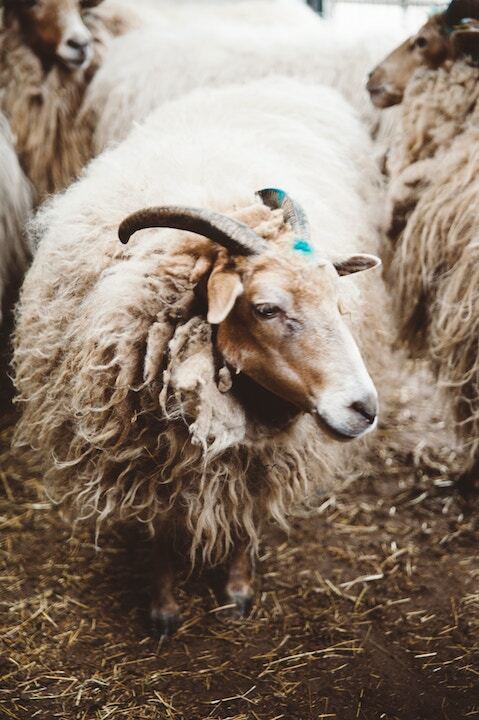 Mohair comes from the fur of angora goats. Compared to cashmere used in sweaters for its insulating qualities, mohair fibers are a little coarser. It is also hypoallergenic, making it suitable even for people who have wool allergies. Mohair with its long smooth fiber is also woven into a dense fabric that is favored by suit tailors because it is wrinkle-resistant. Most of the mohair used in commercial clothing manufacturing originate from a country in South Africa called Lesotho, although in the US, Texas is also known for raising angora goats strictly for their hair. Mohair is preferred for sweaters not only for its sheen and softness, but also because it is hypoallergenic. 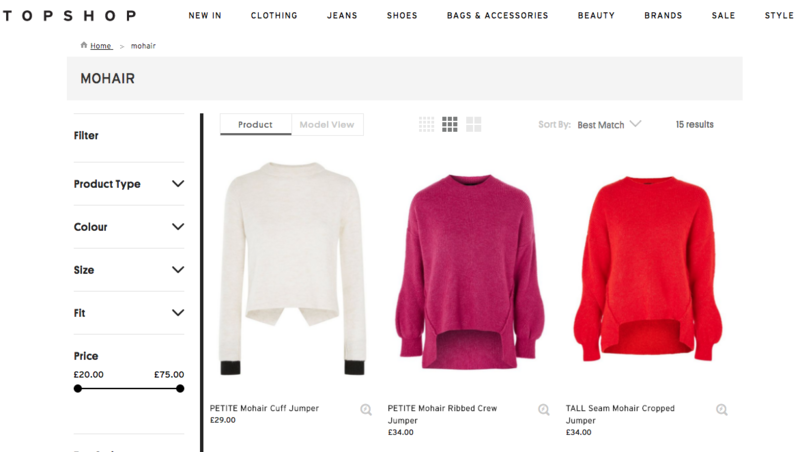 Screengrab from Topshop. However, brands like Zara and H&M, who pledged to completely free its clothing racks of mohair in the subsequent years, did not disclose whether they are sourcing their fibers from the same farm suspected of animal cruelty. Mohair is not the first animal-sourced material to banned following allegations of animal abuse in farms that supply them. In 2015, after releasing a graphic footage that exposed Chinese manufacturers, PETA was able to convince more than 300 brands to ban angora wool. While the movement to go fur-free is also gaining traction in the clothing industry after luxury brands like Gucci and Versace announced that they will stop using fur.